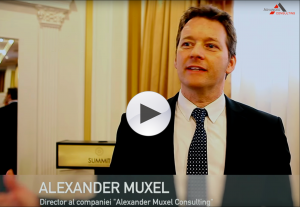 Staff & Management Training - Alexander Muxel Consulting e.U. Do you want your management and your staff to benefit from a output-driven management professional in a sustainable way in order to use new tools, techniques and mindset approaches in their daily business? Workshops are held in German or English language. Sales Training "Are you afraid of the price?" A unique mixture of know how, enthusiasm and humor. Does this sound principally interesting for your? Please let me convince yourself (with interesting examples) within a nonbinding meeting!